Has the planet Vulcan been found? 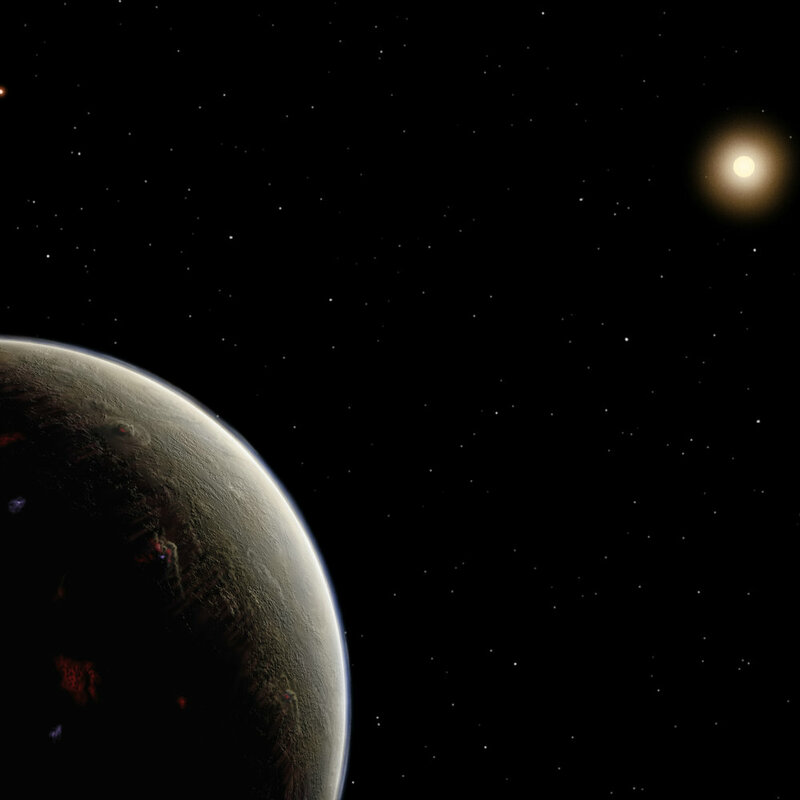 Vulcan’s most famous fictional inhabitant, Mr. Spock of “Star Trek” fame, would certainly raise an eyebrow if he heard that astronomers have detected a potentially habitable super-Earth orbiting the star that’s associated with him. The world orbits a sunlike star that’s a mere 16 light-years away, known as HD 26965 or 40 Eridani A, according to the team behind the Dharma Planet Survey. In the current Star Trek canon, 40 Eridani A is the star that harbors Spock’s home planet. Some early references pointed to a different star, known as Epsilon Eridani(which is also thought to host at least one exoplanet). But in a 1991 essay, Star Trek creator Gene Roddenberry and a group of astronomers argued that 40 Eridani A, the brightest star in a triple-star system, was a better fit because its 4 billion years of existence provided a wider window for pointy-eared intelligent life to evolve. The latest findings suggest Roddenberry made the right choice: The planet found at 40 Eridani A is roughly twice Earth’s size, completes an orbit around its parent star every 42 Earth days, and lies just inside the star’s optimal habitable zone, said University of Florida astronomer Jian Ge. This entry was posted in Uncategorized and tagged Exoplanets, planets, Science Fiction, Space, Star Trek, Television. Bookmark the permalink.